A damp-rated ceiling fan design in antique bronze finish with a LED integrated light for energy efficient. From Casa Vieja comes the Vestige™ ceiling fan with a subtly decorative cage design. This smart fan design comes in an antique bronze finish, and features an integrated LED downlight that offers ambient, diffused lighting through a frosted white glass diffuser. UL listed for damp locations. 17" wide overall x canopy is 5" wide, 2 1/2" high. 14" blade span x 15.5 degree blade pitch. Antique bronze finish on the motor and 3 blades; frosted white glass diffuser. Integrated 11 watt LED downlight; 3000K; 800 lumens; comparable to a 60 watt incandescent bulb. UL listed for damp locations; not suitable for locations in humid climates with salt water exposure. 3-wire wall control included; third wire required for on/off light control. 82 x 25mm motor size. Fan height 16" from ceiling to bottom (with 4 1/2" downrod included). Maximum slope is 20 degrees. I'm looking for a fan that I can install near a bunk bed that is safe. Looking for a small fan for my front porch. I understand that mosquitos hate fans.. I like the size and the industrial design. redoing an old farmhouse bathroom with shower and I wanted this fan to complete the look. I like the antique look. It's going to go in my Barbershop. Nice fit. For a small, outdoor patio. Had to have a caged fan (birds keep making nest in globe of current fan and had to have light. Hoping this will work! Antique bronze look for fan. 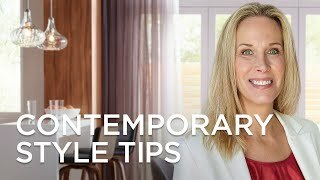 Looks, sixe and on sale! I wanted a small ceiling fan that would fit in our laundry room- I like the vintage look of this. Was hoping to get it in brushed nickel, but I think this will work just fine. Unique and great sale price. Small spot that has still, hot air from a skylight. It's perfect! You always have such a great selection of listing. This is my second purchase this week! This will be used in a laundry room where the compact size, height, and included light will hopefully make the hours spent ironing there easier. Will a 17 inch fan be to small for a 11x6 room? BEST ANSWER: I love this fan. I put this in my kitchen and get many compliments on it. I like the fact that it is quiet. 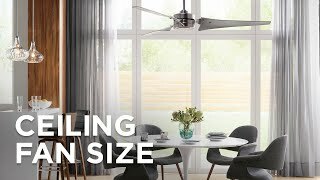 If you are going to center the fan in the room you may find that it will look to small, yet again that will depend on how long you hang it. Hope this helps. and it's a great little light to keep my kitchen lit instead of turning on my LED lights. The fan is pretty powerful. I have it in my barbershop . I have it in my 10x12 booth and it’s perfect . Ok it has an integrated light source. What happens if it starts flickering? Do you have to order a replacement part and if so how would you change it??? BEST ANSWER: Hi - the LEDs are built-in (integrated) and non-replaceable. But, they have an approximate life expectancy of 36,000 hours. This fan also has a Limited Lifetime Warranty on the motor and a one year warranty on parts. You may contact our Customer Service Department for further details. What type of lightbulb do you buy to replace? And how do you replace the light bulb?? Do you have to use a downrod? Can it be flushmounted? BEST ANSWER: Hi - Yes, a downrod must be used. 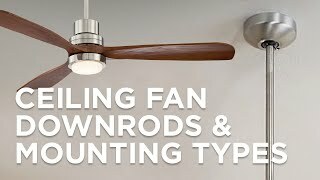 The shortest downrod available for this ceiling fan is the 4.5" downrod that comes included with the fan. Is this fan rated to be used outdoors? BEST ANSWER: Hi, this ceiling fan is not rated for outdoor use. how long is the rod? Is appropriate for the weather in SC? BEST ANSWER: The shortest downrod available for this fan is a 4.5 inch downrod that comes included. This fan is rated for damp location use. I installed this lamp in a BR with 8’ ceilings. I omitted the “rod”. I’m 6’3” and can walk under the fixture. I can’t say how it will handle Carolina humidity, but it’s doing fine inside a climate-controlled TX condo. is there a shorter down rod that can be purchased? BEST ANSWER: The shortest downrod available for this ceiling fan is the 4.5" downrod that comes included with the fan. BEST ANSWER: All of the cage type ceiling fans require the use of a downrod for ventilation. We do not carry a flush mount cage ceiling fan. Can this be dismantled to clean blades? BEST ANSWER: The cage cannot be taken apart to clean the blades. The manufacture recommends using a compressed air canister to dust the blades. can you use just the fan by itself with out the light being on and visa versa? 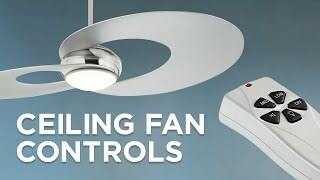 BEST ANSWER: The wall control included allows you to control the light and fan independently. 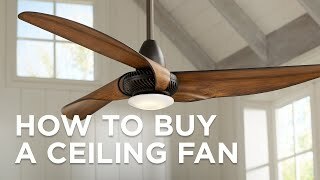 How does the fan turn on and off? It says that a 3-wire wall control included; third wire required for on/off light control. BEST ANSWER: The wall control included requires a 3-wire system (Two live wires: one for light, one for fan, and a neutral). If your home is not equipped with such wiring, this ceiling fan will not work. Is the light bulb included? BEST ANSWER: Hello - This ceiling fan does not come with a light bulb, but it has an integrated LED downlight built into the design that provides light instead. Is this fan available in oil rubbed bronze finish? BEST ANSWER: I'm sorry, this ceiling fan is not available in any other finish. We do however the 3 ceiling fans found below in the oil rubbed bronze finish. Is the light DIMMABLE? Can a 3-way dimmable wall switch be used with this fan and light combo and not interfere with the use of the fan? BEST ANSWER: The LED light integrated in the ceiling fan is non-dimmable. I had two regular outdoor ceiling fans on my porch & eventually they succumbed to the strong winds. Has anyone used these where wind is an issue and if so, how'd they hold up?? BEST ANSWER: I have installed mine inside a "she shed". Would this fan cool a 120 sqft room? BEST ANSWER: We have it in a room that is 10 x 10 and it is more then adequate. BEST ANSWER: This actually needs to be "hard wired", and because the LED light is contained within the fan (no pull chain), a 2nd "hot" line is needed in addition to the ground. I had two installed in my attic (new renovation), and even the contractor overlooked this requirement. We overcame by moving the control to opposite wall and running an extra line between breadboard / drywall ceiling and imsulation. 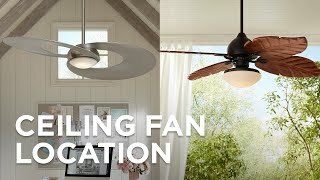 If the gazebo has electrical on the ceiling, just install as a regular ceiling fan. This little fan works great with approximately 6 ft radius with nice cool air. i used it inside and it is hardwired. I don't know if it is suitable for exterior - i think it would rust eventually. can this be flush mounted? BEST ANSWER: Unfortunately, this ceiling fan cannot be used as a hugger style ceiling fan. The fan does included a 4.5" inch downrod which brings it very close to the ceiling. I asked a professional installer this question for you when he was at my house working on another fan today. His answer was NO, the fan cannot be flush mounted. It needs the 4" rod included in the kit to get proper balance & air circulation. Please note that the photo Lamps Plus has on the site appears to be a much longer drop rod. Ours is mounted on the 4" rod & & works perfectly & looks very nice. It's as close to being flush mounted as is recommended for the balance & air flow of this fan. Does this come with a remote? BEST ANSWER: No remote but comes with a wall switch that has variable speeds. It works great. No remote, but it has a wired speed control and light switch. It is great for small rooms. We have a small bedroom with bunk beds so this fan adds a degree of safety. We have a small bedroom with bunk beds. As a result is a perfect size and is save for those on the top bunk. Works great for us. It looks perfect over our peninsula snack bar. Love it! Was delivered on time with no problems. Purchased to replace a porch light and deter mosquitoes. This was the only caged, outdoor fan I could find. Effective on medium speed (mosquitoes can't fly in the slightest breeze). Just-right light intensity. Cons: Requires three wires + ground. I only had two, and needed a Hampton Bay 191 707 universal remote to complete the installation. This fan does not have a reverse option, which would have made this a five-star review. You should also know that, for the same air flow, this fan is noisier than a paddle fan. Not a real ceiling fan . Horrible fan you have to stand directly above it to feel air . Returned and missed out on 50 bucks because I was charge restocking fee . Hi Adeline O., we wanted to clarify the charge that you mentioned - we do not charge a restocking fee at Lamps Plus. We do charge a 50$ cut wire fee on fans that have been installed and are not being return due to defect. We do note this under our return policy, and are truly sorry that you did not like the fan after installing and using it. If you do need any help finding a replacement fan that better suits your airflow needs, please reach out to us at 877-704-2425 from 7:00 am - 4:30 pm (PT) and one of our personal lighting consultants will be more than happy to help. Thanks for the review! Fan works well and fixture looks great, but it doesn’t emit much light at all. 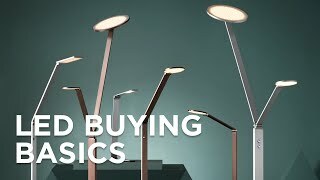 Don’t buy this if it is your only light source. Fan is very noisy. Avoid turning it on because of how loud it is. Does not seem to move very much air when it is turned in. Light is not bright enough to use as an actual light. Hi Ann M., we're sorry to hear that this fan design is not bright or quiet enough for your needs. To clarify, our fan designs are not meant to be the only source of lighting in the room, and instead are meant to light a space in addition to the existing lighting. Please reach out to our customer service team via phone, email, or chat so they can learn more about the noise level of this fan and see what they can do to troubleshoot. Thank you. This was a great purchase for a lower ceiling in a kids bedroom with a bunk bed. Cooled the room better than expected and the tighter grille was safer than most ceiling fans.